TOKYO/LIMA – Today, 47 civil society organizations delivered an open letter to the International Olympic Committee (IOC) and Tokyo 2020 Olympic authorities, at the start of the IOC Executive Board Meeting in Lima, Peru. The letter reiterated grave and mounting concerns about the legitimacy and accountability of IOC sustainability commitments and the reputation and credibility of the iconic Olympic games. The letter criticizes the Olympics for knowingly exploiting tropical forests and potentially fueling human rights abuses in the construction and implementation of the games. 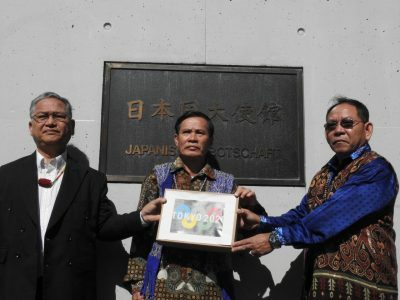 The groups are calling for full transparency and an end to the use of rainforest wood to construct the Tokyo Olympic facilities, including the new National Olympic Stadium.